I’ve been meaning to do this for a while, but have never gotten around to it. Now that Rob Has a Podcast is doing an official fan poll and that there is a nice even 30 seasons, it feels right to give them a good ranking. Arguments are welcome, but please don’t hate. There is something kinda neat about watching Boston Rob roll all over a group of mostly incompetent Survivor players, but boy most of it is awfully boring. There is an alternate version of this season where Phillip is out first and Mike Chiesl becomes an all time great, perhaps that would be more interesting. Add in the awful Redemption Island twist and yeah, this is the worst season. I don’t hate Boston Rob, I really don’t–in fact he is usually the most interesting person in his seasons, but the way (when he is successful) he shuts down the rest of his competitors makes for awful television. This season is hurt by how personal it gets and the way the meta-game causes all of the interesting players (Tina, Rudy, Rob C., Richard) to go early while Jenna Lewis and Amber dominate. Kim is probably the best person to ever play Survivor, but this season is filled with duds–yes even upon their return Colton, Kat, and Monica remained duds. Even the slight opposition Kim faces is done in the most annoying form possible in “this is my island!” Troy Robertson. Sorry Kim, but I have no desire to rewatch this season at all. 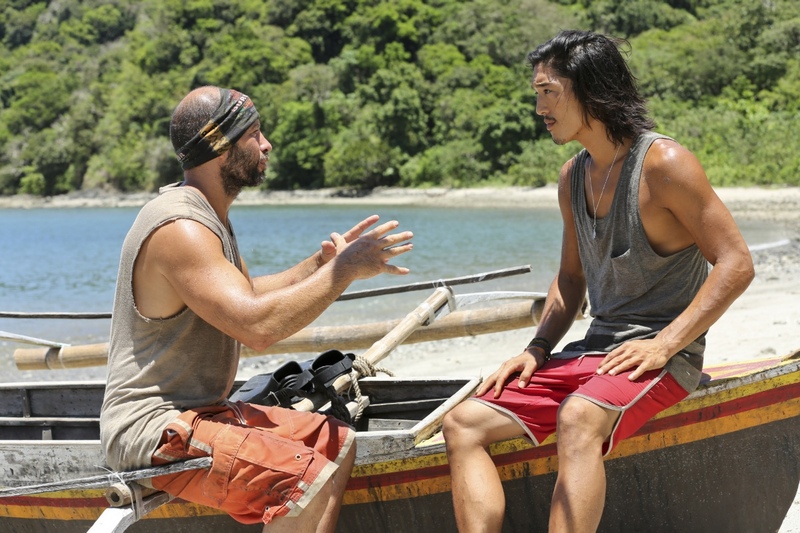 Seasons 21-24 were the low point of Survivor history and season 23 showcased just how out of touch the producers were, bringing back the awful Redemption Island twist with two returning players we were less than slightly excited to see. Unlike Redemption Island there were a couple of bright spots in John Cochran’s wit and the huge turning point his flip caused, as well as the slayer of the dragonslayer herself in Sophie Clarke. But Coach’s cult, Brandon Hantz 1.0, and Rick just don’t do it for me. It’s hurt by so many of its people getting ignored throughout the future of Survivor, if Brian or Helen had had the chance to come back (as they should have) it probably gets remembered better. I think Brian is super entertaining and talented, but again the genius who runs over everyone doesn’t make for great TV. Unlike most of the ones that have been ranked below it, this season is not dominated by one person, featuring quite a few twists and turns leading up to the ultimate surprise in a Fabio win (it is so scary that Chase comes within one vote of winning this thing). It’s a hard season to rate because it’s filled with good crazy (Holly and the shoes! Benry’s strange confessionals! Fabio’s slapstick moments) and annoying crazy (Naonka and Jane). Ultimately it rates lower, just because other seasons are just better. Some people love this season, I guess that depends on having some sort of interest in people like Paschal, The General, Tammy, and Zoe; sorry but I find most of those people pretty boring to watch. While the downfall of John Carroll is epic, Kathy’s redemption arc is good, Sean is a legend, and Vecepia is fine as a winner, those people in between do a bad job of filling in the gaps. I’m back and forth on this season, I loved it at first because of Yul vs. Ozzy and Jonathan Penner. But on a further rewatch it didn’t do as much–Ozzy is great at challenges this first time, but he is awful socially. The weird early merge leaves a bad taste and Rebecca is probably the least memorable person to ever make jury. 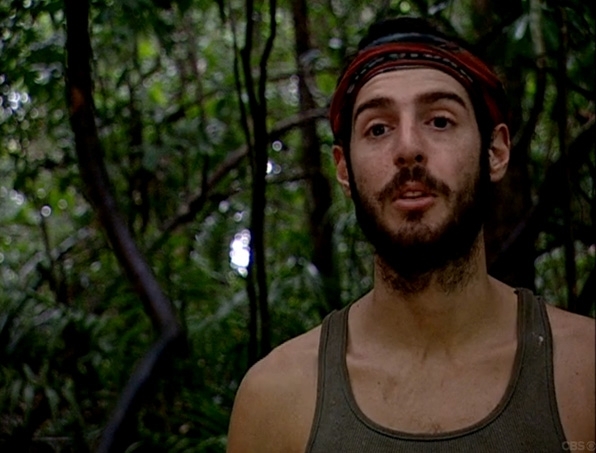 The twist was saved by the multicultural finals, but there is a moment where Jonathan Penner is saved twice over two people who were not white, despite nobody liking or trusting him–this could be because he was an original tribe member, but debating back and forth is the reason this twist probably should not have happened. This season is pretty boring and would be even lower if the whole cast weren’t so likable. T-Bird and the two Kims are all worth rooting for and have their own level of skills. Ethan, Big Tom, and Lex are Survivor legends. Brandon and Frank’s relationship is a hilarious pairing that exemplifies the magic of the odd-couple that was at the heart of early reality TV. These people’s interactions were interesting and the gameplay is there, despite probably living in the worst conditions in Survivor history. I always thought this season would be better had they not allowed Ulong to be decimated down to the final person. Sure it makes for an interesting factoid, but it essentially splits the season in two, with Stephanie as the winner of one season and Tom as the winner of the other. This is why we need tribe swaps and why the three tribe format has become a current fixture. Other than this the season is filled with people that are fun to watch: if Ian doesn’t jump off that pole in that way he 100% comes back, Gregg is an underrated player, Katie is an underrated character, and Tom is one of the best players in the show. I don’t really have any desire to go back and watch all the girls get voted off the fans, Brandon Hantz 2.0’s meltdown, or Shamar yelling–but the second half is really good. Malcolm and Corinne leading a failed uprising, Malcolm again leading a failed bro-rising, and Cochran completely owning a season was a lot of fun. Give Erik and Brenda a better edit, take out the taking out of Dawn’s teeth and it’s probably top 15 or 10. There are a lot of interesting things at play here, the season’s multiple swaps probably ended up giving us the worst final 3 ever (Sugar, Bob, Susie) but also prevented us from Marcus just sweeping up everyone in a really straightforward way. I am thankful that we got to see Kenny the underdog turn into Kenny the mastermind turn into Kenny the fallen god in one of the more unexpected character story arcs. Randy and Corinne are forever great, but I can’t ignore that awful final 3. There are so many fun people here and it’s disappointing some had to leave so early (Brian, Amy), while Cindy and Lydia made it to final 5. Stephanie and Bobby Jon’s return worked out okay, but it’s people like Judd that really make the season. Danni recognizing Gary was one of the more random shocking moments in the show’s history; Danni could secretly be as good as Kim Spradlin, it’s a shame we will likely never get to find out. Hard to rank because of recency and the way the last half of the season was filled with so much Dan, both in and out of the show, and Will’s pretty despicable thrashing of Shirin. Mike is one of the more interesting winner’s, combining Tony’s scrappiness with Colby’s challenge wins and love of Texas–I think he’s a good player, but didn’t really play that well here. I’m still not sure what I think of Rodney and how I remember him will have a huge effect on how I view this season going forward. This is a good season with lots of classic moments and characters. I agree with the reputation that it slows down after the merge and though Colby and Tina are great, for me they are not that great. That being said, those first 6 or so episodes are classic due to Alicia’s finger, Mike’s craziness, and Jeff Varner being amazing. I keep moving this season up and I think it’s because of how great that Casaya tribe is: Aras, Cirie, Danielle, Courtney, Shane, and Bruce are the least likely bunch of people to ever stick together under the guise of tribe loyalty, but they sure did it, defining the term dysfunctional in the process. Terry made it interesting playing the near-spoiler to Casaya and Cirie made one of the best plays of all time in splitting people’s votes to get Courtney out. Surprised it’s this high, but the more I think about it the more I love it. The first three episodes are average (depending on how much you like John Rocker’s storyline), but the fourth episode features Drew Christy making a buffoon of himself and similar to the Roger in Amazon episode makes no bones about who is going home. After the worst episode (Julie’s quit) we get Josh vs. Jeremy, Jeremy’s blindside (with Natalie’s “what the f*** Missy?”), the near blindside of Jon only negated by Keith’s “stick to the plan”, Jon and Jaclyn’s fight, and Natalie turning into a Survivor goddess by “accidentally” voting out Alec, blindsiding Jon, and idol-ing out Baylor. This is probably the most overrated of all seasons for me. It was great seeing all the big characters battling it out with one another – Russell vs. Rob is amazing – but the big moments rely way too much on the hidden immunity idol. I am a fan of hidden idols, but having 5 in a 2 tribe season was overkill (though JT’s letter is still great). This is the point where Russell started to get annoying and by the time the final 7 comes around the season feels tiresome. One of my favorites upon my first watch, but trying to think of watching it again feels exhausting considering that we have to watch episodes with the boring fans in the pre-merge. I have no desire to watch the Chet, Kathy, and Joel drama; this is probably a fundamental problem with the fans vs. favorites format, the fans are never interesting enough when compared to the favorites. The post-merge however, with blindside after blindside, is incredible and that is why it still remains high. I’ll never forget watching Eliza play the stick, Ozzy get blindsided, or Erik giving up immunity. This might be the worst edited season of all time and though it was entertaining to see Russell shoved down our throats so much at the time, it does not hold up anymore. A more moderately edited season with a bit more Galu (Brett anyone?) and Natalie might enter into top 5 territory, because Russell is entertaining and the Foa Foa comeback is fantastic. This was a mighty gamble for Survivor to do and it is one that actually paid off. Seeing players compete with their loved-ones was fascinating, adding extra layers of emotion, drama, and strategy. There were huge moments (the rock draw) and small ones (the coconut bandits) leading to a great season, one in which the new players actually competed with the old – both in strategy and air time. I suppose this season gets some heat for its have and have not twist, as it should, but the fall of the four horseman, as well as everything Earl/Yau Man do is mightily entertaining on all levels. Even the “Rocky” pre-merge is fun to watch in my opinion–loved it then and I love it now. This season might be quite boring to watch at certain moments but I argue that it is the best cast of them all. Nearly every person lives in memory and helped to define not only the show but television over the last 14 years. On rewatch it is fascinating to watch the lightbulbs go off one by one as they figure out the format and the game. Richard Hatch will always be a top 10 best character of the show. This might be the best edited season of them all, the opening of episode 4 showing the decimated Matsing tribe is cinematic. This season cemented that a three tribe format leads to great unpredictability with the final 10 tribal council leading to potentially the most last minute tribal council scrambling ever. Malcolm and Denise are both top 20 players of all time, Abi-Maria is a great character, Lisa was intermittently interesting, and Penner lived up to all that we wanted him to be. The ultimate underdog story, Chris coming back from being down 6 to 1 is only lifted by how funny and entertaining of a character he is. The final 7 blindside is one of my favorite moments in the shows history – the glances between Ami and Eliza are priceless. Rory, Chad, and Sarge are all underrated characters, while Ami and Leann were fierce before their downfall. And Twila never coming back was an absolute shame! It might be the best final 2 ever, even if Stephen gets absolutely torn apart, JT played up his Southern charms, Tyson brought people to tears and laughed in their faces, and Coach was Coach, leading to a season full of great characters and gameplay. Has three of the biggest icons in the show’s history and is also wildly unpredictable. The pirate theme is a lot of fun and it made Rupert really fun to watch, His nemesis Jonny Fairplay brought in his professional wrestling style storytelling and did some of the most unique manipulation in the shows history (the famous Grandma lie) while also playing a legitimately good game. Outcasts aside, this is one of the best. Episode after episode proved to be wild, it might be the best cast since the show’s original season. Tony vs. Spencer was one of the best showdown’s ever and it ended with such a satisfying conclusion. Let’s not forget those moments when we were all convinced LJ was the winner either, this whole thing kept us on our toes. An excellently cast season featuring characters to cheer for (James) and against (Jean-Robert). Watching superfan Todd truly become the first major fan to win the show is so satisfying and makes up for all the other gamers doomed to 3rd place before him (Rafe, Rob C, Fairplay). Plus, even those who should be forgettable (like a Jaime or a Peih-Gee) are pretty fun to watch and pretty decent at the game. Courtney is one of the funniest people to ever be on the show and Denise is unintentionally up there too. I had no idea there are so many. I love this ranking. China is my all time fav and Amazon is awesome too. Micronesia is always on top so this was a nice change of pace. Would love to see an updated version. Thanks! Yeah I’ll have to get around to another one soon. Maybe after this next season.